Mother’s Day is a special time to honor the great moms out there who go above and beyond to keep their babies safe, happy, and healthy. The mama cats in these stories have that motherly instincts and will do whatever it takes to protect their youngsters, even if their kids aren’t the same species. Whether moms are biological, adopted, or foster, they deserve to be celebrated on Mother’s Day. 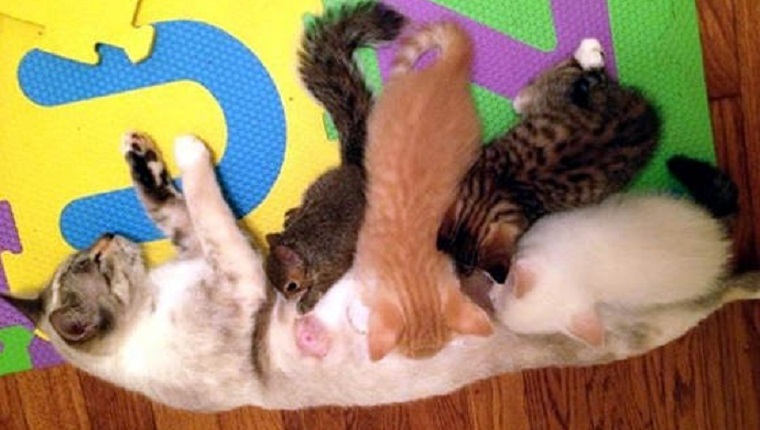 Here are seven stories of mama cats who saved their babies. You may have heard of Scarlett, the amazing mama cat who saved her kittens from a fire in 1996. She was caring for her babies in a garage in New York when a fire broke out. Firefighters spotted Scarlett plunging into the blaze, even though she had already suffered from burns on her face and all over her body. She pulled her kittens to safety, and even though one of the babies didn’t survive, four of her kittens went on to live happy lives in forever homes. Scarlett also lived out her days in a forever home until the age of 13 when she passed away, but her kittens made sure to visit her on Mother’s Day to say thanks to their mama. Sometimes an adopted mom is the right mother for the job, even if her babies are a different species. An SPCA worker was caring for a pregnant Chihuahua when she gave birth prematurely. Two of the puppies didn’t make it, and she rejected the other two pups. Luckily, a mama cat at the shelter, who had just given birth to kittens of her own, was happy to add two more babies to her litter. She fell in love with the new puppies and raised them just like members of her family. The pups might not have survived without a mom to care for them, so it’s a good thing this kitty’s motherly instincts took over. A concerned individual walked into Sarge’s Animal Rescue Foundation with an orphaned kitten in a box, but it wasn’t an ordinary house kitten. It was a baby bobcat. The person who brought in the tiny cat said that she had seen the mother the night before during a storm, but she had left the baby behind and couldn’t be found. The cub wouldn’t be able to survive without a nursing mother. Luckily for the little bobcat, the shelter had just brought in a stray mama cat with her five kittens the same day. They named the mama Sweet Pea and introduced the little bobcat to her. Within 15 minutes, the new kitten became a part of the family and began to nurse. They named the bobcat Bob, and he thrived with his new mom. The shelter worked to rehabilitate Bob so he could go back to the wild, and they were able to do that because of Sweet Pea’s love. Just a week before Mother’s Day, a cat named Ember at the Atlanta Humane Society lost all of her newborn kittens. Coincidentally, an orphaned kitten that needed a miracle to survive arrived at the shelter shortly after. Shelter workers introduced the two, and it was love at first sight. They named the kitten Flame, and Ember took great care of her new baby. Ember cuddled, nursed, and groomed Ember, giving the kitten necessary life-saving care, while Flame helped heal Ember’s broken heart. Ember may not have given birth to Flame, but she loved the kitten like her own. Feral cats aren’t always the most trusting of humans. Even those of us that care for feral cats by providing food and shelter to colonies in need know that some kitties just feel more comfortable maintaining their distance from people. That’s why it’s so amazing that a mama cat trusted humans to take care of her baby. A woman named Jaime and her boyfriend fed a feral cat one day, and they were happy to see that the kitty kept coming back for more food after that. One day, however, she came back needing more than just food. The mama cat had a kitten, but there was something wrong. The kitten wasn’t moving right. Luckily, the mother cat trusted the humans enough to know they would care for her baby. 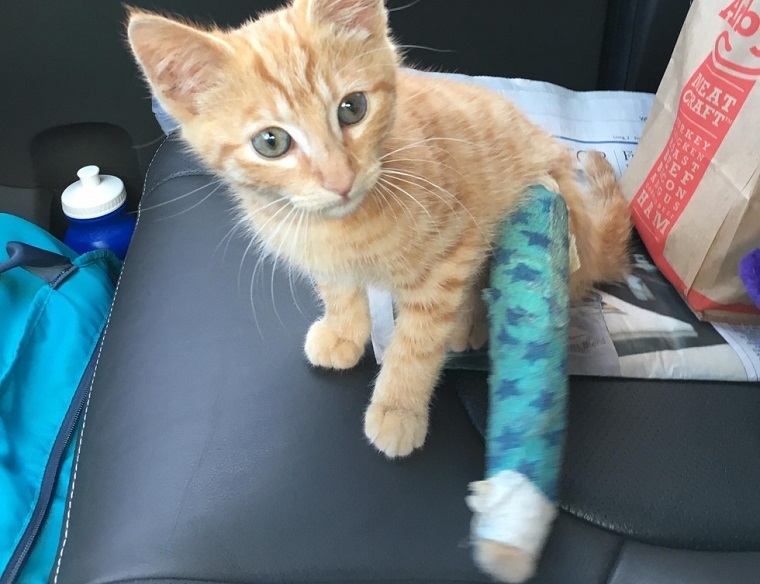 The couple brought the kitten to the vet and found out he had a broken tibia and fibula. After giving the kitten veterinary care, the couple decided to adopt the feral baby and name him Milo. Milo continued to be an indoor cat, even though his mom preferred to stay outside, but the caring mom stayed feral, even though she still came to visit for food. She gave her kitten a fighting chance at life, as he probably wouldn’t have survived feral life with his injuries. Shirley and Terry, two little kittens, had to be rushed to the emergency vet when they were suffering from anemia and low red blood cell counts because of a flea infestation. Thankfully, their mama cat, Merf, was there to save the day. The kittens needed an emergency blood transfusion. 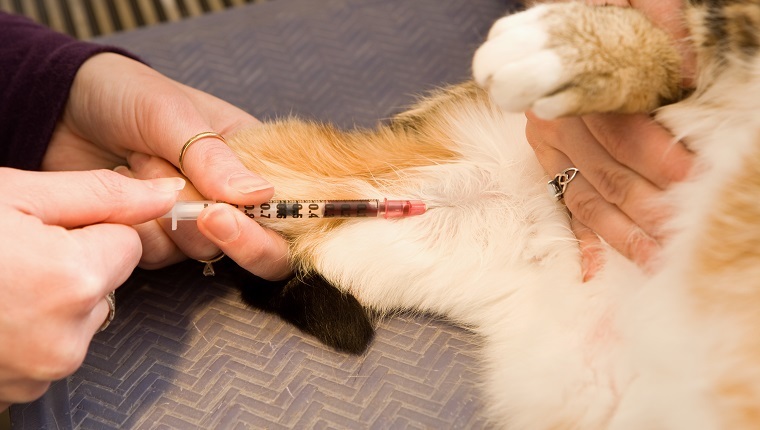 A lot of things could go wrong with the procedure, as it would be difficult to give blood to the kittens while they were so small, and the effects of the transfusion would only last for 48 hours, but vets hoped that this would give the babies enough time to recover. So they tested Merf to see if her blood type was a match for the kittens, and it was. They began the transfusion and saved the kittens’ lives. Merf also helped by nursing them back to health and caring for them as a mama cat should. The babies were saved, thanks to mom. A proud mama cat had just given birth to her kittens when her owners found an abandoned baby squirrel under their porch. After talking to the vet, the humans placed the baby squirrel next to the new mom, and before long, the mama cat was caring for the baby squirrel like one of her own. She nursed it like one of her kittens. Only two days later, the cat mom disappeared under the porch and emerged with yet another abandoned baby squirrel. She adopted the new squirrel as one of her litter, too, and raised all of her babies as one big, happy, multi-species family. Have you heard of any other cat moms that deserve to be celebrated on Mother’s Day? Let us know in the comments below!